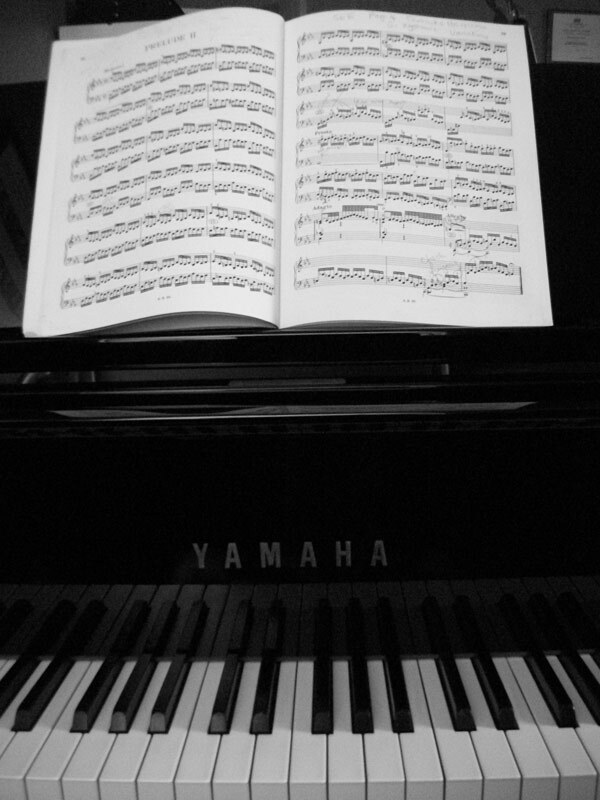 I offer tuition for piano from the youngest beginner to the advanced student. I have wide experience in preparing students up to and well beyond Grade 8 (Associated Board of the Royal Schools of Music) including preparation for school music scholarship, music college and university entrance – many of my pupils have gone on to careers in music themselves. However – I still very much enjoy teaching the beginners, whether they are 6 or 60+ , and also those who just want to learn for fun and personal fulfilment. Please contact me to have a chat about you or your child learning to enjoy playing the piano – no matter where you or they are on the journey. I have a wide range of musical experience – not just in the classical style. Below: This is my piano – it is a 6’3″ Yamaha hand made grand piano. Although I also have a digital piano in my teaching studio, all students are mostly taught on the grand, right from the first lesson.